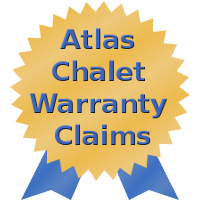 Atlas Roofing Corporation produced the Chalet shingle. This was a lesser expensive 3-tab shingle that was manufactured to look like a more expensive 3-dimensional architectural shingle. This architectural look was achieved with a different application of the granules on the shingle. Because this was a lesser expensive alternative to an architectural shingle, it was very popular with new home builders. As a result, the shingle was used on tens of thousands of homes in Georgia. In 2008, Atlas announced that it would stop manufacturing the shingle due to a marketing decision. There was a lot of controversy and many customer complaints surrounding the shingle that began to make their way to the press. The complaints were generally for blistering, cracking and discoloration due to the application of the granules. Two class action lawsuits were filed against Atlas Roofing Corporation in 2013, that alleged that the company misleadingly advertised that the Atlas Chalet shingle would last for 30 years. In reality, the shingles would blister and crack long before that – sometimes within the first year or two after installation. Because the shingles are defective, if left on the roof for an extended period of time, the roof will develop leaks and water damage will occur. Because the Atlas Chalet shingle has been discontinued, there is no way to correctly repair the roof. There is no “like and quality” shingle that is a substitute for this “architectural look” shingle. It simply cannot be repaired. The entire roof must be replaced or further damage to your home will occur. If you have any storm damage to the roof on your house, even a single shingle, your insurance company is obligated to replace the entire roof with a true architectural shingle. Your insurance company insured your home with a 30-year rated “architectural” shingle and that is what they should pay for since the roof cannot be repaired. Additionally, if you are the original owner of the home with Chalet shingles, another potential solution exists. You can file a claim with Atlas Roofing Corporation and they will pay a settlement to you for the defective shingles. Nalley Roofing, LLC has professional that will assist you in filing the claims with either your insurance provider or with Atlas Roofing Corporation. We will walk you through the process and provide you with all of the necessary documentation and evidence that is required to insure that your receive a fair settlement. Call us for a free consultation today at 770-931-5982.